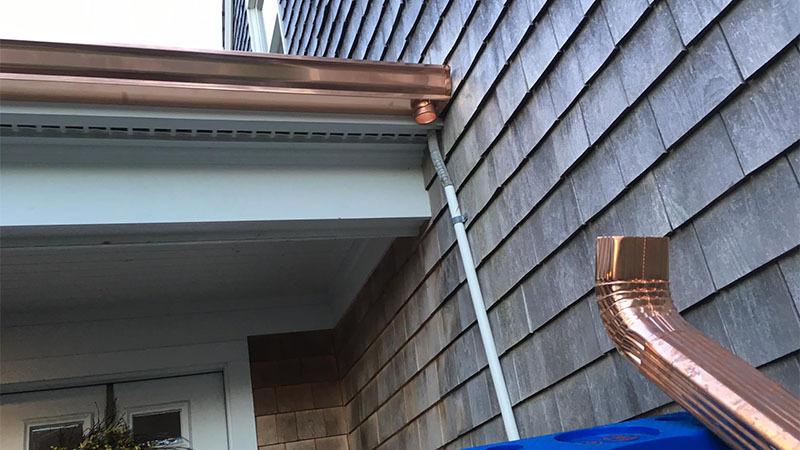 At Boston Roofing and Gutters we make 5″ and 6″ aluminium K-Type high quality gutter systems, manufactured to exacting standards and delivered effectively and efficiently to meet the needs and requirements of our customers. We’re so confident in the performance of our gutter system, we guarantee it will remain clog-free for life. Boston Seamless Aluminum Gutters are fabricated on site to suit the precise measurements of your building. BBA Approved aluminum coil, coated both sides for maximum durability. 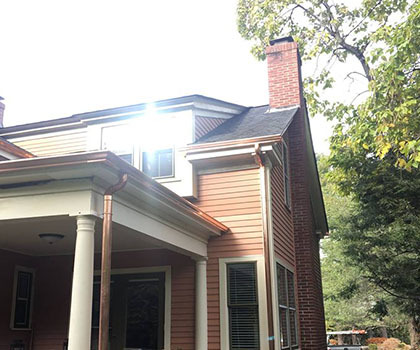 If you want to install the gutters yourself or have a contractor other than us install them, we will gladly deliver our products directly to your site. All of the high quality accessories you are going to need to complete the job will be provided at wholesale cost. Our stock material is considerably thicker and superior to that which you would find at a local home center, so it will hold up better and could last years longer. Pre-coated aluminum coil is cold-rolled and formed at your property through a special forming machine, typically mounted in a small commercial vehicle or trailer. The gutters are produced in continuous lengths of up to 60 feet and cut to fit the exact length required. Stop ends are applied to the end of the gutter and outlet holes are drilled to accommodate the downpipe where required. Please note that every effort will be made to install seamless aluminum gutters without joints in the running length. This is restricted sometimes by access: getting around obstructions such as cables, aerials, satellite dishes etc. can mean that we occasionally have to include joints. We therefore reserve the right to take operational decisions in the light of site conditions and to include joints where necessary. 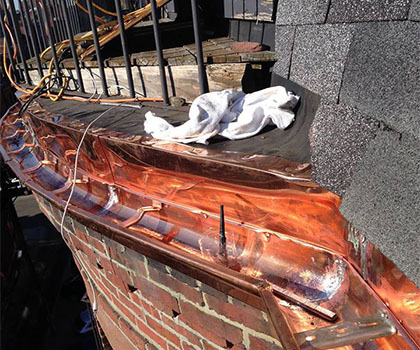 Boston Roofing And Gutters LLC is the first company to offer Gutter Art to the Boston Market. Call us now and ask for more details on how to add that amazing feature to your home project.